If you’re already in an IVA (Individual Voluntary Arrangement) then you’ll already be working hard to repay whatever you can afford towards your unsecured debts and getting your finances in order. If you’re considering entering into an IVA, you may be asked to open a new bank account as part of the set-up process. This IVA bank account is where your regular IVA re-payments will be taken from and also where your income should be deposited. The basic bank account options available to you on an IVA may vary depending on your credit rating, but the icount current account with prepaid card has been designed with IVA’s in mind. Ready to apply? It takes less than 3 minutes to get your IVA bank account set up. Start your application here. You do not need to wait until your IVA has started to open a bank account for your IVA. In fact, it is advisable to open your new bank account before the IVA starts, meaning that all of your payments and direct debits can be set up and ready to go from the day your IVA begins. Why do I need to change my bank account when I enter an IVA? When you enter into an IVA, you may be asked to change your bank account provider, making it the perfect time to explore your options. The reason for this is that your current bank may have permission to take money from your bank account to pay back debts that are connected to that bank account. This is known as the ‘Right to Offset’. Your Insolvency Practitioner (the person helping you through your IVA) may advise opening a completely unconnected account to avoid any historical links with companies you may owe money to. This way, your income will be completely safe during your IVA. Will I be accepted for a bank account on an IVA? 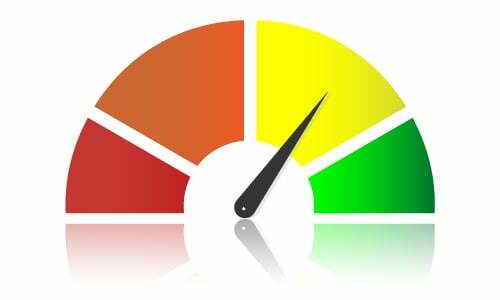 Your credit score at the time of applying for the account will dictate the options that are available to you. This could cause your bank account application to be declined. With the icount current account, there is a 100% acceptance guarantee, so you can rest assured your account application won’t be rejected, even if you have poor credit. Been refused a bank account? Our guide explained what to do next. Can I use the icount current account with prepaid card to rebuild your credit after an IVA? Yes! We offer our dedicated Creditbuilder™ facility as an add-on to your IVA current account. This means that you’ll be working towards an improved credit score all the way through your IVA and beyond. Find out more about rebuilding credit after an IVA, here. Updated on 2018-08-18T16:01:54+00:00, by Jacek Olczak.